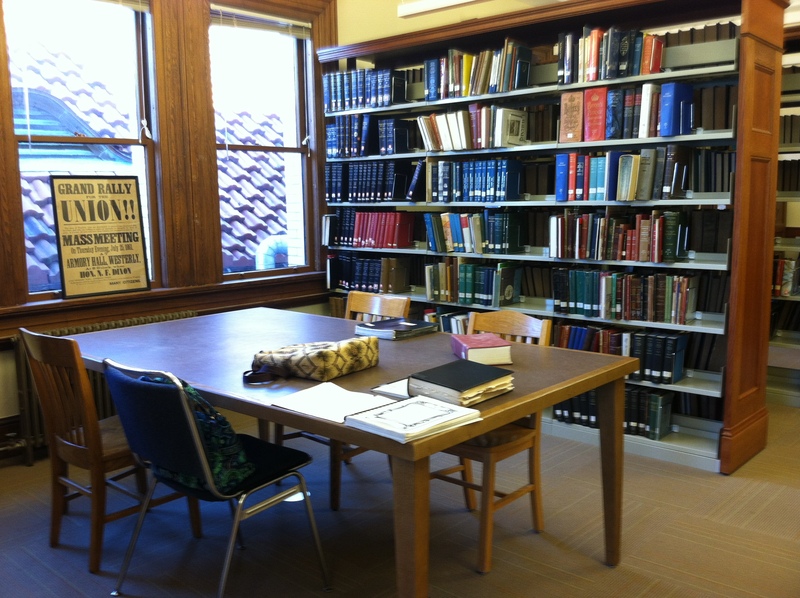 The Local History and Genealogy Room of the Westerly (Rhode Island) Public Library has reopened in an attractive new space on the second floor. I visited today. 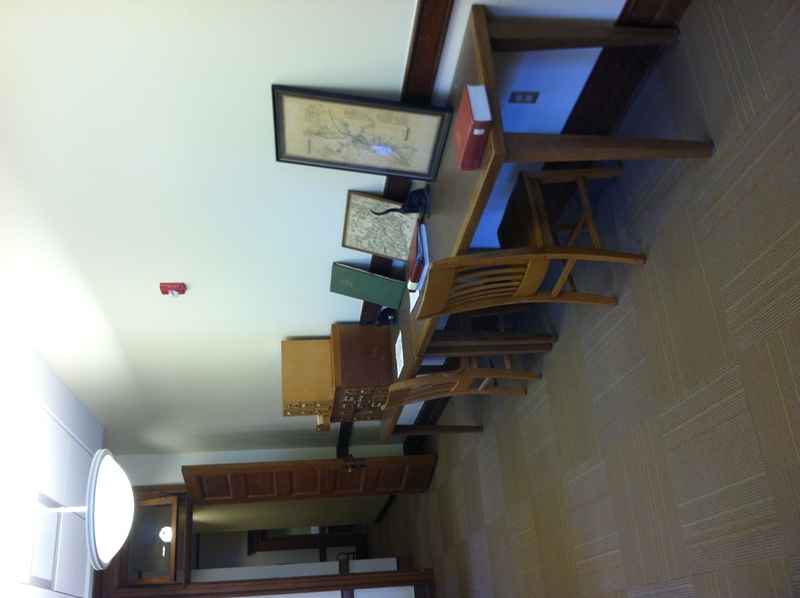 After parking around the corner, I made my way to the second floor and asked for the Special Collections room. Since the room seems to be staffed by friendly, helpful volunteers, it is only opened for limited hours. I was really impressed when I got in there. Apparently the old basement room has been replaced by an airy and bright room on the second floor with historic charm. 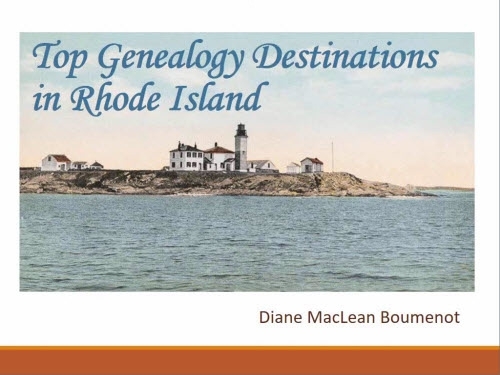 The book collection was fairly extensive, including standard Rhode Island and New England genealogy reference books, family-name books, and local history books covering southern Rhode Island and nearby southeastern Connecticut. The materials in the folder were interesting but a first reading didn’t reveal much; I’ll examine my 115 pictures from home. Then I perused the stacks. Some of the books were non-standard compilations donated by individuals. Sadly, there was not all that much available on the Lampheres. I did find a list of those buried in the local River Bend Cemetery (River Bend Cemetery (Westerly Historical No. 8), compiled by Dwight C. Brown, Jr, and A. R. Brown, 1993). I also did some checking in the compiled books of vital records that were on hand. In this section, books and documents were filed by family name - you can see that some works are privately published. Lacking anything new (to me) for the Lampheres, I branched out. Many local families are either tied to my Lamphere line, or may be: Crumb, Minor, Andrews, Tefft. 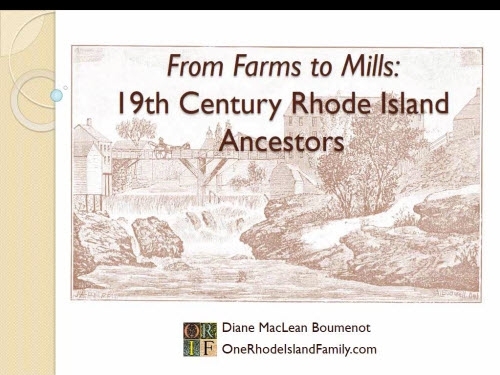 In an old “mug book” for New London County (Connecticut), I found some brief summaries of family history which were interesting reading and gave a good (and MAYBE accurate) overview of those families. In the Crumb Vertical File folder, there was a typed copy of a 1904 Westerly Sun newspaper article about Crumb family history. There is also an extra card catalog containing what must have been the work of a lifetime by some local genealogist; 6 drawers of card-by-card notes on individuals, with sources. These did not contain my ancestral lines but would be of interest to those researching other old local family names. Then I got more interested in the local materials. 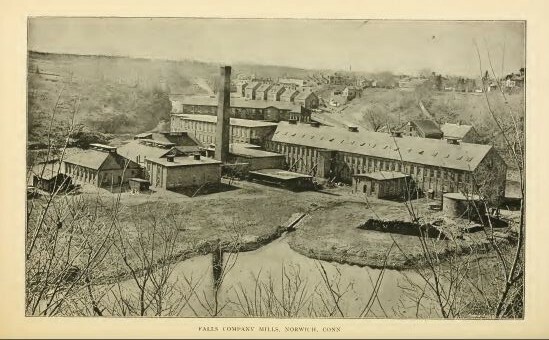 There were two small books about the town of Norwich which gave me a whole new view of that town; it was an industrial center in Connecticut during the first part of the 1800’s, when my ancestors moved there from Westerly (Norwich, Connecticut, Its Importance as a Business and Manufacturing Centre and as a Place of Residence, issued by the Norwich Board of Trade, Norwich: Press of the Bulletin Company, January, 1888 and Norwich Century of Growth, Part 1: The Mill Bell Tolls, by Eleanor B. Read, Norwich, CT: The Franklin Press, 1978). 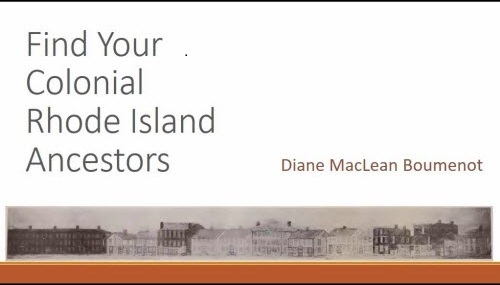 I still need to go to the Westerly Town Hall to look at deeds and probate records. That is located across the street. IF I had remembered to bring a standard-issue genealogist’s peanut-butter-and-jelly sandwich in my research bag, I could probably have crossed the street and worked there until 5. sigh. Rookie mistake!!! John Lamphere is my 8th great grfather. Do you have any info regarding him, i.e. birth location, parents, etc., or his wife Ruth Ellis Leatherford? Thanks! The three articles are the main source for early Lampheres. Perhaps at your local library they could help you get those articles. Although one sees various last names around the internet for Ruth, wife of John Lamphere, there is no evidence of her maiden name and definitely not a middle name. Mr. Bartley makes that clear in his articles. Westerly’s library is lovely. I’ve never been their myself but I do have in-laws and friends living there. I consider them family just as those who are my bloodline relations. I own volume 1 of the River bend book. Let me know if you need a lookup. Loved the library photos. Many many of my family lived there. thanks, Midge. That may happen, because I only copied the Lamphere pages. Barbara, I’ll look for your posts! I’ve been through several libraries recently that were just beautiful.